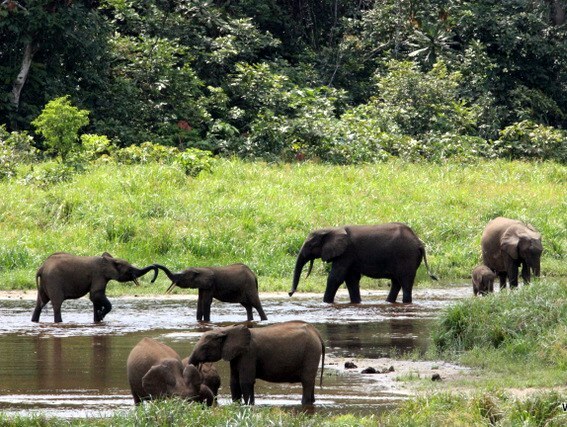 Gabon is arguably the most bio-diverse country in all of Africa. Just above the equator on the Atlantic Ocean, Gabon is the size of New Jersey, with a population of just over 3 million people. Since it was a French territory, almost all the people speak that language. Gabon is a very rich country, as most of the land is forest, or at least was until Omar Bongo, the former president, leased logging rights to the Chinese. Gabon also has lots of offshore oil, with rigs dotting the horizon in every direction. This does not seem to bother the hippos, who swim uninhibited in the rolling salt water waves. A Bai, as pictured in the photographs below, is a large clearing in the forest where elephants, gorillas, monkey’s, deer and many other wild life species come to drink and socialize. There are no lions or leopards in Gabon, but that aside, wildlife abounds in numbers that are staggering to comprehend. 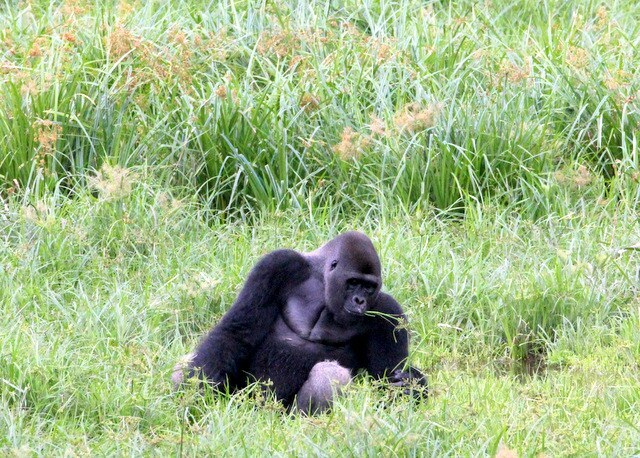 The gorillas are lowland gorillas and smaller than their mountain brethren in Rwanda and Uganda, and the elephants are forest elephants, which are smaller than their savannah cousins. In 2001 to 2003, Mike Fay, a Wildlife Conservation Society scientific biologist, did a mega-transact from Congo to the coast in Gabon. Mike had the world class photographer Nick Nichols, of National Geographic magazine with him on many parts of the 3,376 mile trek across central Africa, spanning 13 months in the process. Upon completing the transact, Mike met with president Bongo and showed him some of Nick’s amazing photographs. Bongo was in awe and asked, “This is my country?” Mike convinced Bongo to take away logging licenses from many of the Chinese crews, and declared 13 national parks, which are still in existence today. Gabon is not without problems. Because of the rich natural resources, the Gabonese people have become lazy and it is difficult to motivate them to work even for good pay. Elephant poaching is a huge problem, but Mike and other stalwart people from the Wildlife Conservation Society are making real progress in quelling the poaching. Much more needs to be done, as the Chinese craving for ivory is placing these magnificent beasts in real trouble. If you drive along the mostly crude roads in Gabon, you will see the carcasses of dead a animals, or their skins. The Gabonese have a lively and profitable bush meat trade, and will kill almost anything to eat themselves or sell at market. 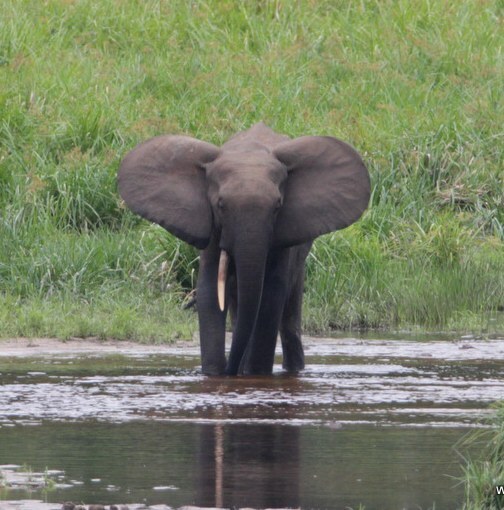 The problems aside, Gabon is truly a magnificent place, not easy to get to, but getting better. Rumor has it the Aman Resorts has signed a contract to build a native looking hotel in Gabon, and that will surely increase the tourist trade. This is a place to visit sooner rather than later. Once people go there, and the word spreads, it will be like going to Krueger National park in South Africa.